We report on the World's first true High Definition monitor, or so that's what BenQ says. The BenQ FP421W boasts a 24&quot; widescreen at 1920x1200, meaning that it can support 1080p content without scaling. Unlike any other computer monitor on the market, the FP421W has a HDMI connection, which will give full proper high definition providing your graphics card can support it with the relevant outputs. 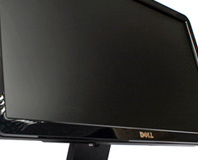 As with the popular Dell 2407FPW it also contains inbuilt USB ports and has the ability to connect multiple inputs via DVI and S-Video. Whilst this is primarily a computer monitor, it can also be used to watch television and movies at HD resolutions. At £680 and due for release in September, it is around the same price as the Dell 2405FPW, but is it really better than Dell's pride and joy? We'll have to wait and see.